There are various opportunities available to participate in our organisation’s work promoting inclusion, equality and rights for lesbian, gay, bisexual and transgender (LGBT) people across Scotland. 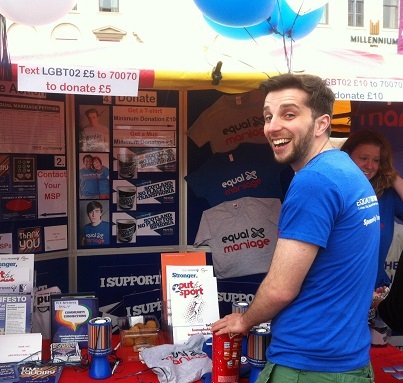 Volunteers make an invaluable contribution to the Equality Network whether they be providing admin support, helping to organise events, staffing stalls at pride or fundraising. If you have skills that you would like to put to use at the Equality Network then please get in touch, we would love to hear from you!